Non-Snow Activities Make Mammoth A Family Summer Vacation Stop. 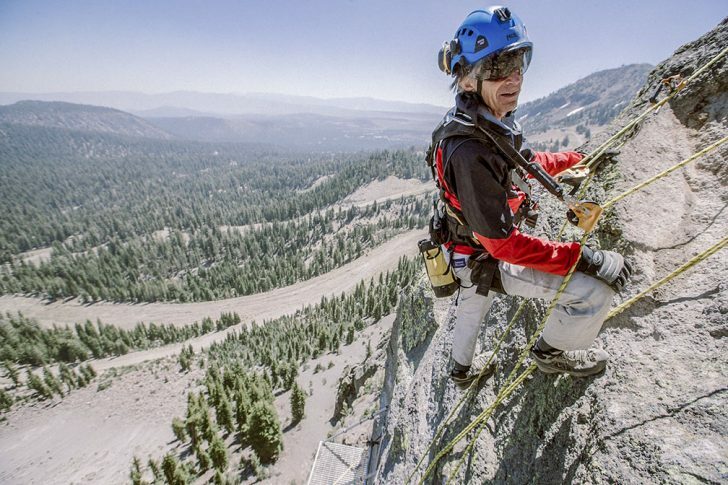 Climbing the Via Ferrata at Mammoth Mountain Ski Area.Credit: Peter Morning, Mammoth Mountain Ski Area. Ok, picture yourself, flat on your belly in “Superman” position, hurtling in the air down a mountain at 60 mph. No wonder Mammoth Mountain Ski Resort calls this the Mega-Zip. It’s billed as the “most vertical in the USA” (some 2,100 feet from the top of the ski resort at 11,053 feet) to the bottom. Definitely not for the faint of heart. Adrenalin junkies, line up here. The mountain is aiming to open the zipline by late summer, before all these non-snow goodies have to close for the winter season (and skiing!). And it’s got three more adventures, one in the works and two others already operating. The “taste of climbing” wall called Via Feratta is being built. The ropes course for kids 12 and under (gotta grab ‘em early) is already open, as is the Woolly’s Mining Co, a gem mining adventure for kids. The zipline starts at Mammoth’s top, 11,053 feet and plunges over what some locals call “Oh S*%t Cliffs,” heading down at speeds billed at “over 55mph.” The run is more than a mile long from top of mountain to the base, and you will be able to descend side by side with other folks on parallel cables. The whole ride is actually in two stages, starting from the very top and going on a somewhat sideways path to the mountain’s Chair One, where people exit and get on a second line all the way to the bottom. Mammoth hopes to open it by early September, which would give about a month before winter snows start. The Via Ferrata, which translates to “Iron Path” is a mid mountain mostly horizontal traverse along a cliff face. Rebar is being secured into the cliff face and the adventure will include ladders, suspended bridges and iron rungs, among other things. There will be six different routes that progress in difficulty. You go with a guide, he added, you are clipped in at all times and the total vertical is about 180 feet as you follow a set trail for 300 feet more or less horizontally across the rock. Photos of what it might look like show folks in full climbing gear … helmet, harness and the rest. Kids’ Ropes Course at Mammoth Mountain Ski Area. Credit: Peter Morning, Mammoth Mountain Ski Area. But for the parents, it’s nice to see all this isn’t THAT high off the ground, and the final rappel drops a fairly tame 15 feet. 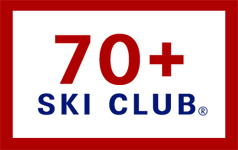 A lot of these improvements come courtesy of Alterra Mountain Co., which now has interest in a dozen ski destinations, including CMH (heli skiing). 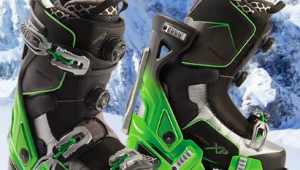 The company, which recently merged with Intrawest, pumped serious money into Mammoth. 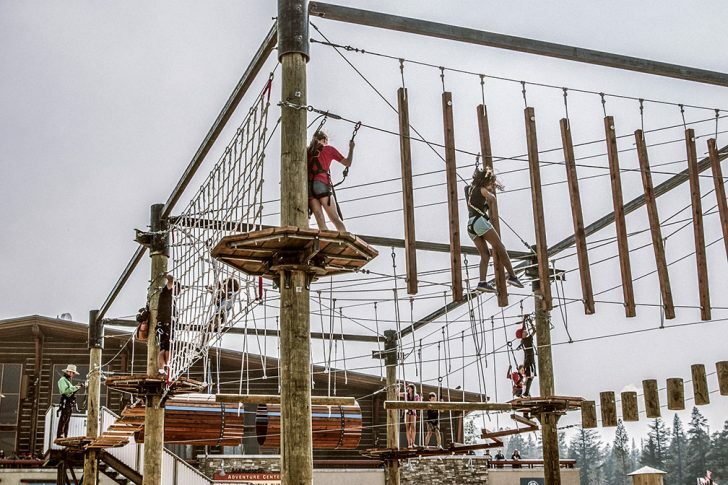 Some $10 million is being used this summer on the zipline, the cliff climb and both children’s adventures along with improvements to Canyon Lodge. 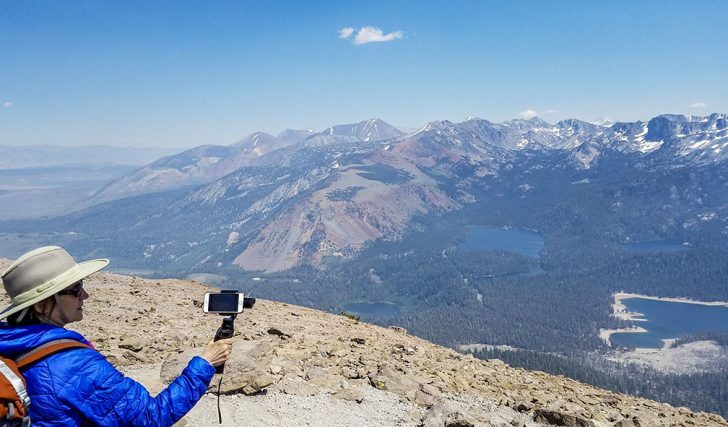 Besides the zip and climbing route, folks in summer can mountain bike, hike, just ride the gondola for the view and in the greater Mammoth Lakes area, fish, kayak and more. Summer season is usually early June through end of September when the snows arrive.